Oil Price nosedived. Now what? 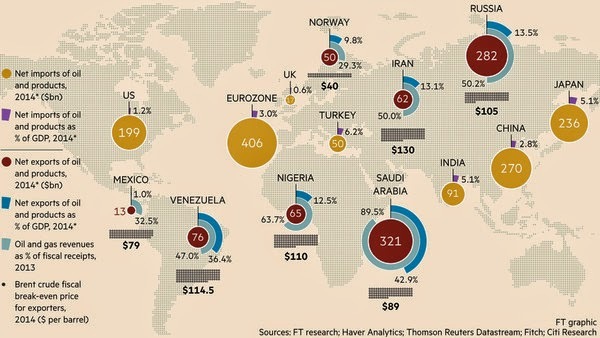 What effect can this Oil price slide can have on Indian economy? This question is in talk these days and part of discussion. This article explain in good detail and yet it is short seeing what they have covered. If we check history then lower oil price boosted Global Economy. For India it is definitely good as this will reduce oil import bill, thus will reduce Current Account Deficit and then fiscal deficit. Only thing is that currently few countries are in good position due to lower oil price as they used to export oil to earn money. If economic turbulence comes in few countries then it can affect India as well.